I’m old enough to have friends that have kids in college. The biggest complaint is not tuition…it’s textbook buying. Friends, you must remember the days -- the amount we got back from selling back our books always seemed disappointing considering the hundreds of dollars initially forked over. Highway robbery! If you have textbooks lying around, today is your lucky day! College students…! Parents of college students…! You will seriously appreciate this information! Campus Book Rentals provides a great alternative to normal textbook buyback options. They have cultivated a beneficial new program called Rent Back, which allows you to rent your textbooks from their site for 40-90% off bookstore prices. Additionally, shipping is always free. You may ask yourself “why should I do that when I can sell them back at the end of the semester?” Well, I’ll tell you why! With Rent Back, you can make 2-4 times more money than you would with other buyback options. And what college student couldn’t use some extra cash?!?! 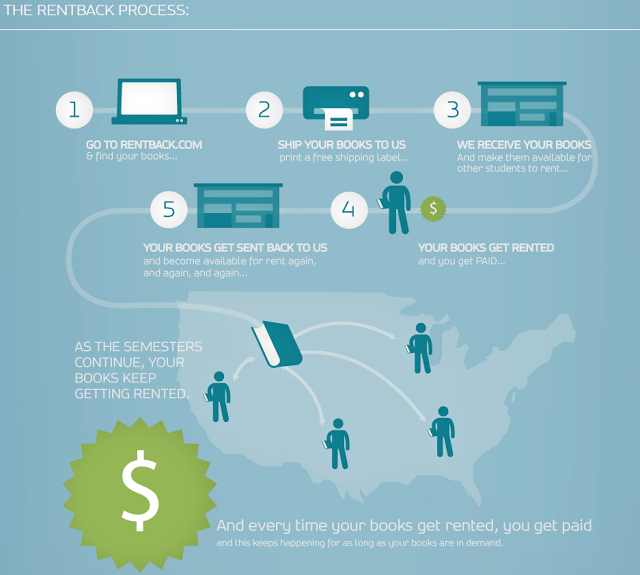 Campus Book Rentals provides a great infographic that explains it all! My favorite part of all, they donate a part of the proceeds to Operation Smile. Operation Smile has provided over 1,000 surgeries just this past year for children with cleft lip. So every time you rent a text book, you are helping provide to this wonderful cause. Philanthropy...my very favorite part in everything! :-) Hugs back atcha! This is awesome to know as me and my husband will be starting college in Jan. Thank you!